Ellery's founder and designer Kym Ellery has an eye for imaginative contrasts. Bold textures are mixed with pure architectonical lines in her collections. The outcome is wearable art pieces. Shapes and silhouettes that we haven't seen since Issey Miake's breakthrough. Like this version from this aussie brands best seller boot Class in silver coloured calf leather with elaphe texture. Elaphe is main non venomous rat snake specie mainly seen in northern hemispere. Texture reminds of python snake but the colour is usually solid. This version of the . 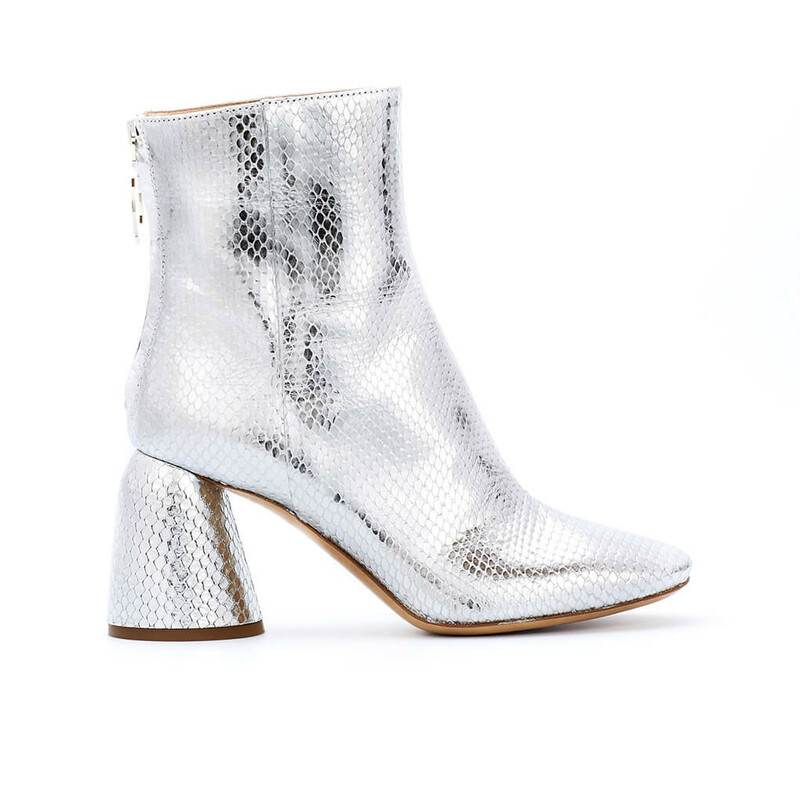 Read more..
Like this version from this aussie brands best seller boot Class in silver coloured calf leather with elaphe texture. Elaphe is main non venomous rat snake specie mainly seen in northern hemispere. Texture reminds of python snake but the colour is usually solid. This version of the boot also features a beautiful cut at center front. Otherwise the shape remains the same. Heels is covered all the way with upper leather for uniform look. Zipper fastening with ring puller at centre back. This shoe fits true to size. 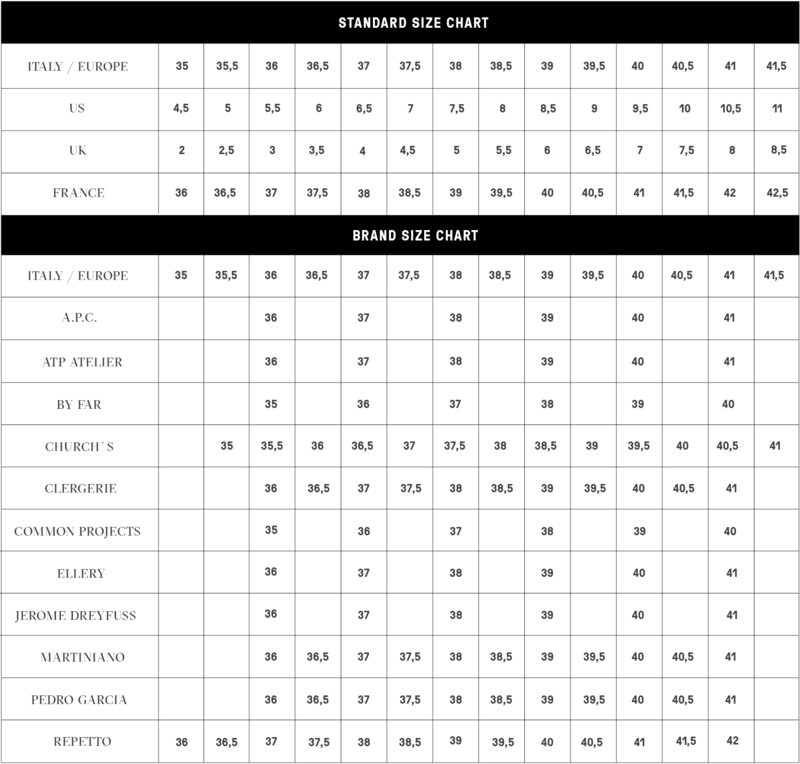 Please take your normal Italian / European size. Go up to the nearest whole size if you take a half size. 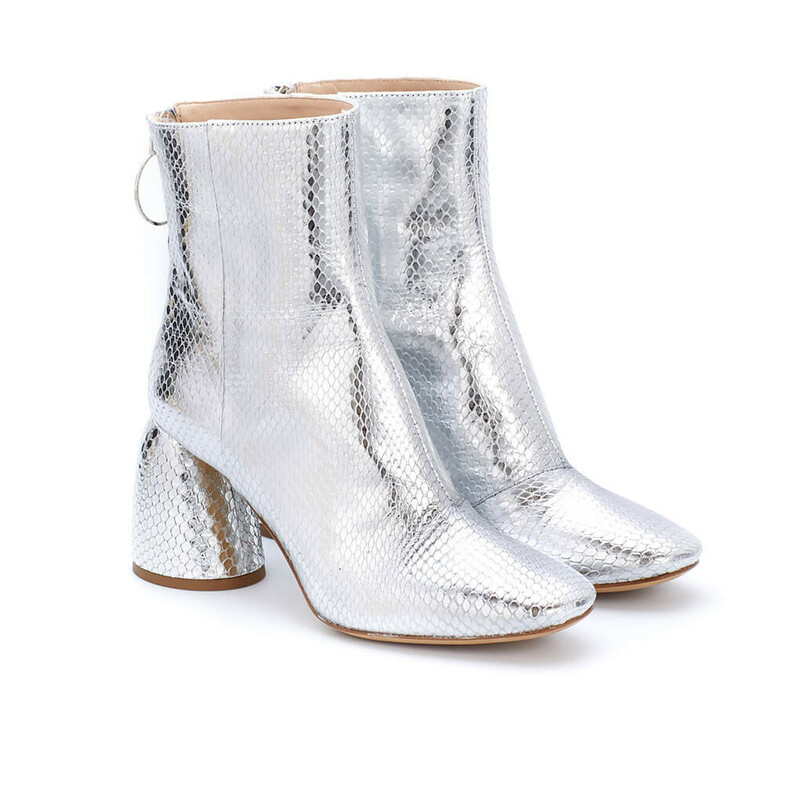 1 x Class Ankle Boot Silver Elaphe was added to your shopping bag. 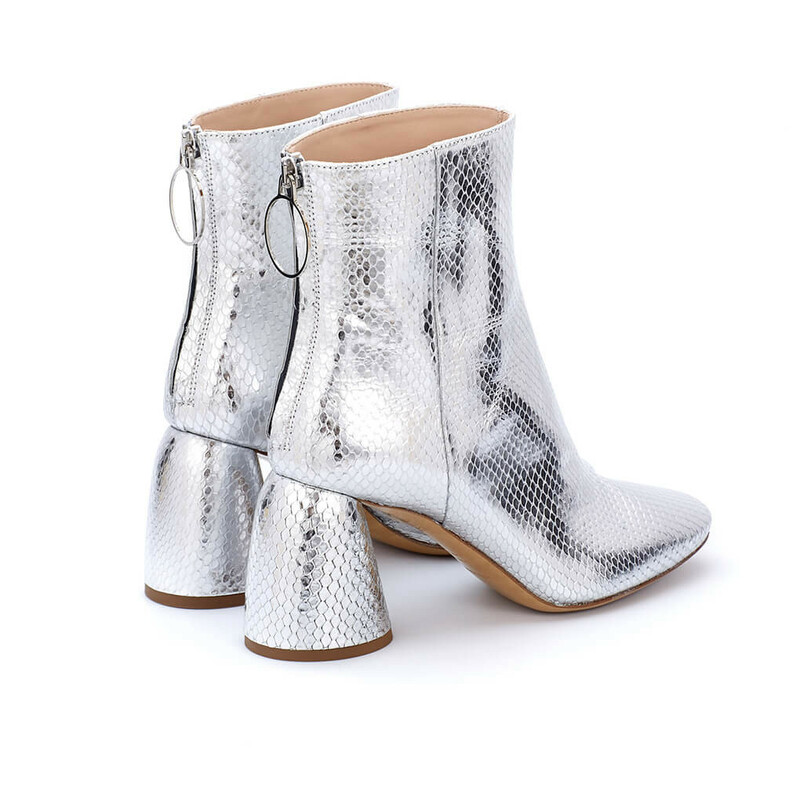 1 x Class Ankle Boot Silver Elaphe was added to your wishlist.